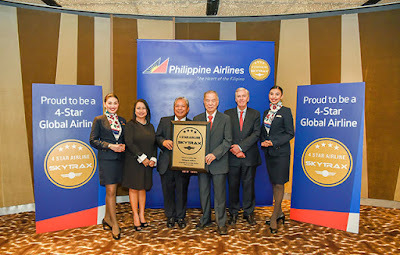 Aviation Updates Philippines - Philippine Airlines (PAL) has been certified as a 4-Star airline by Skytrax, the international air transport rating organisation. PAL, joining 40 other well-renowned airlines in this prestigious category, is the first and only airline in the country to have a 4-Star Rating. FIVE-STAR IN THE FUTURE. Philippine Airlines is on track in achieving its 5-star dream. Photo by Philippine Airlines.